Full seasons of beloved TV series, the first seasons of critically acclaimed shows from recent years, plus fun rom-coms, action-packed sci-fi series and more are new on Showmax this month, so there’s something for everyone to binge on in February. These 11 addictive series were all added to Showmax in their entirety on 1 February, which means they’re available right now for your bingeing pleasure. Once, June had a husband, a job, a life. 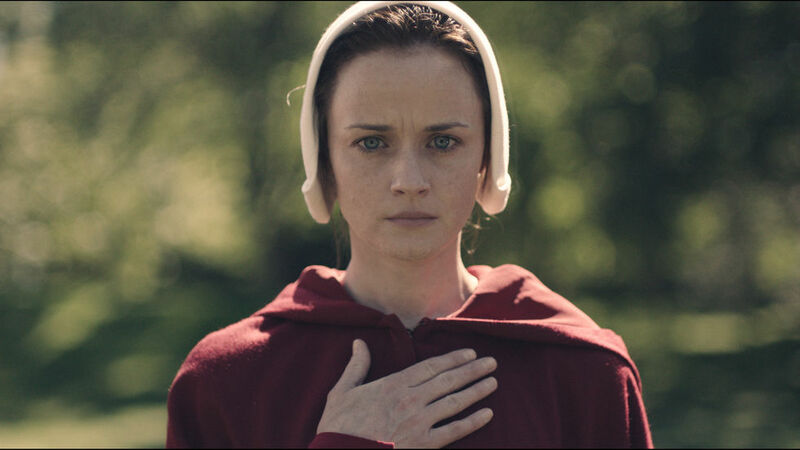 Now she’s Offred, enslaved as a walking womb in a country where the only thing rarer than pregnancy is escape. A simple crime can cause worlds to collide in this brilliant, award-winning crime drama anthology, where good intentions can be as dangerous as bad acts. Killjoys hunt dangerous criminals in the worst parts of space in this action-packed series. No job is too tough or dangerous, not with these three bounty hunters on the job. Scandal, drama, feuds and romance power the halls of an illustrious fashion house as two brothers try to raise it from the ashes. But can they avoid destroying each other? Evie’s life is super ordered – and going nowhere. Then she meets the hunky Xavier, who might be perfect… except he thinks the world will end in a few months. Ivy escapes from a house 13 years after she was first abducted. Soon she is reunited with her family, but not everything is what it seems in this mysterious drama. Emily was a geek in school, so she hoped her surgery career would be different. But that might’ve been too much to ask for in this cute romantic drama. An award-winning series about an addict who makes a promise to turn his life around and help other addicts – even if it takes extreme tactics to save them. Local residents wake up to find their town covered by a transparent dome. Can they escape before they destroy each other? Based on a Stephen King novel. Enjoy this long-running and award-winning drama about the lives and loves of a group of women in LA, with all the hookups, breakups… and everything in between. When you’re deep undercover in the middle of a terrorist cell planning an attack on homegrown soil, who can you trust? Don’t miss this intense and nail-biting series.